Mexico is known for its ancient architecture, hot weather, beaches, deserts, spicy food and above all, fun. 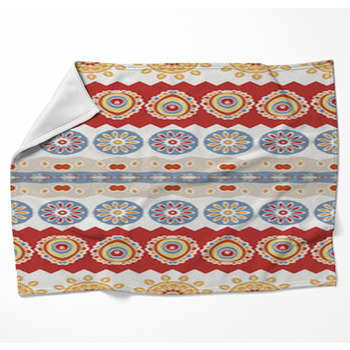 Explore all of these themes and more with our Mexican style blankets. 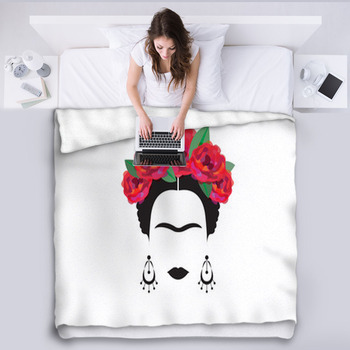 Start with a throw blanket featuring a stunning piece of art and an intriguing conversation starter to drape over your living room sofa. 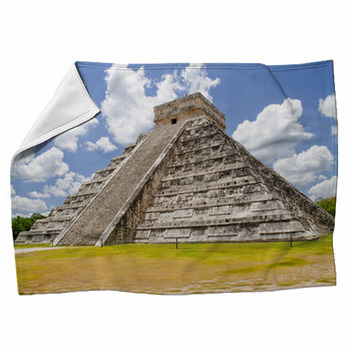 How about a blanket patterned with the image of a circular stone Aztec calendar? The Aztecs observed the stars and seasons for eons and developed advanced systems of prediction and timekeeping as represented with the fascinating symbols, faces, geometric shape and other images shown in dark turquoise on your furry fleece blanket. 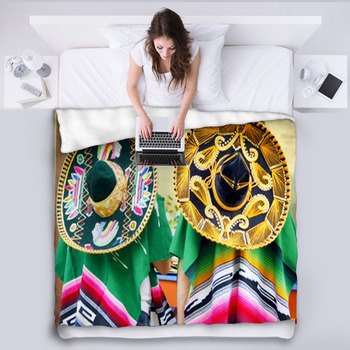 Pair that with another decorative throw blanket that can be hung on the wall as a show of Mexican pride with matching Mexican style throw pillows on your couch. 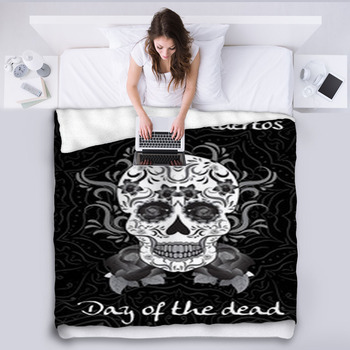 These include custom blankets that showcase a photo of a traditional sombrero made from dark brown leather and adorned with looping patterns made from tan straw. 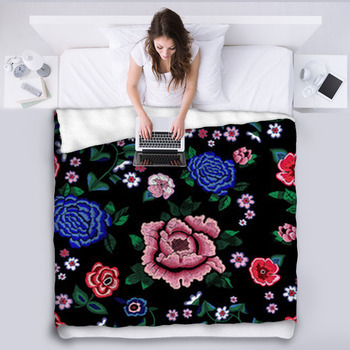 Then bring some Mexican passion into your bedroom with Mexican style blankets. 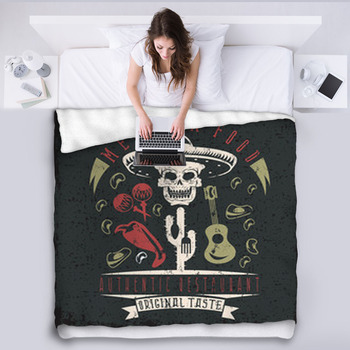 Choose a bed blanket that features the realistic illustration of a handsome mariachi player dressed in a black suit and red tie. He's pictured playing an acoustic guitar and serenading you with his voice in the rocky deserts of Northern Mexico. 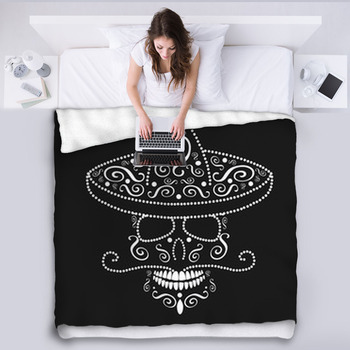 Your kids will also be amazed to have blankets that bring Mexican style to their own bedrooms. 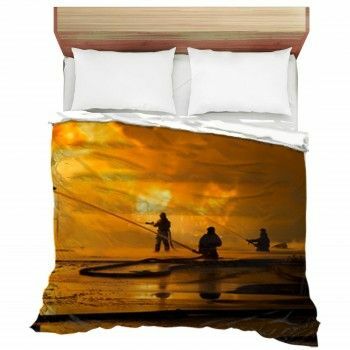 Give your teenage son a bed blanket that showcases his love of hot Mexican food. 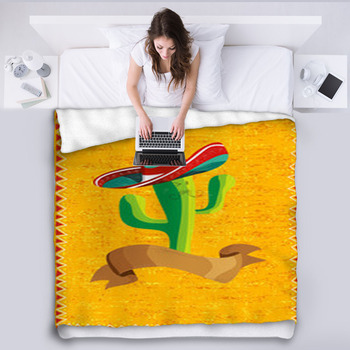 On one of these blankets, a cartoon of a red chili pepper is shown wearing black sunglasses and a big sombrero as he crosses his arms and smiles confidently. 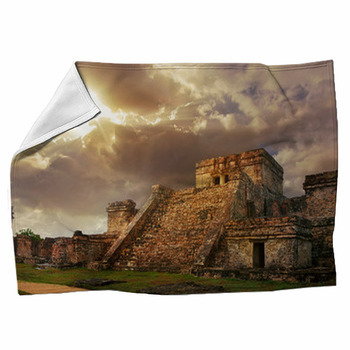 For your young daughter, we have Mexican style blankets that exhibit the mysterious Mayan temple in the jungles of Palenque. 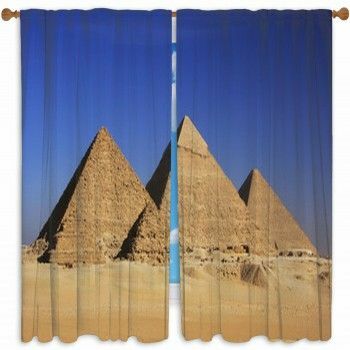 She'll be amazed by the ancient stone steps and huge columns of the temple displayed on her blanket.